It’s been one month since Anthem released, though it feels like a lot longer. So much has happened: a lot of it bad, but also some of it good. Despite all of the game’s issues, it has a small but solid foundation for BioWare to build on. There are also a lot of frustrating things still in the game, many of which, such the loot system, the player base has spent the last month discussion ad nauseam. Here’s what’s happened since release. Anthem launches on 15 February, sort of. The game’s release ends up being staggered. PC player who subscribe to Origin Premier are able to access the full game on the 15th, and Xbox One players with EA Access memberships are able to begin playing a 10 hour demo. Everyone else, including PS4 players, have to wait until 22 February. The game gets a small, server-side hotfix over the weekend of the 15th to make the game’s widely criticised Tomb Challenges less grindy. 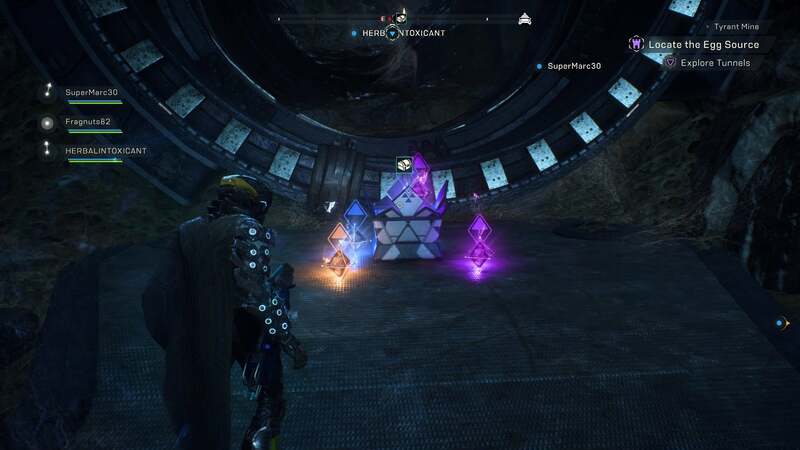 Players discover Anthem’s version of the Destiny 1 loot cave on 18 February. Masterworks, some of the game’s rarest loot, drops from randomly generated treasure chests in freeplay when playing on higher difficulties. A map of the most efficient route to get them starts making the rounds, but BioWare patches it by the end of the day. BioWare releases a day-one patch on 20 February, two days ahead of schedule, to try to fix some of the game’s biggest issues. These include long load times, games crashing, and players not getting loot from from enemies killed or treasures chests that are opened while they’re incapacitated. While the patch does address these problems once it goes live, it also causes others, including worse frame rates and the temporary removal of the game’s Stronghold quickplay feature. The game’s loot system gets a lot more generous after a 22 February hotfix, but the effects end up being temporary. Lead producer Ben Irving confirms that the loot buff, which lasted approximately 11 hours, was actually an unintended bug, and the drop rates for rare gear are ultimately rolled back in a hotfix. Reviews come out over the next few days, including ours, with most ranging from so-so to pretty negative. The game’s exosuit flight mechanics are almost universally praised, but other elements, like the mission design, user interface, and especially the loot system, are largely panned. Clips of a glitch that allows Anthem players to stash one Javelin inside another start making the rounds on 25 February. As a result of the glitch, players are able to mix and match abilities from different Javelins in order to make unofficial hybrid builds. BioWare eventually patches it out. BioWare tries to make the game’s loot better by changing how inscriptions work in a 28 February patch. Rather than increase the drop rates for rare gear, the studio makes the stat rolls on individual pieces better, and also makes it so stats that don’t apply to that item can no longer randomly appear on it. Players report that Anthem is turning off their PS4s. At least one person claims that their console will no longer turn back on. Overnight on 3 March, players who believed their consoles to be bricked discover they can get them working again by holding down the power button to turn the PS4 on in safe mode. BioWare announces it’s looking into the issue along with people at PlayStation, and eventually reports on 6 March that it’s found no instances of consoles that were actually bricked by the game. Anthem streamer and YouTuber Gladd gets temporarily banned from the game for using a damage exploit. According to him, EA told him the ban was for playing the game in a way that broke the terms of service. The exploit in question revolved around using the shoot and dodge buttons during an Ultimate to deal an extra one million points of damage during the attack. The community was surprised by the ban since Anthem doesn’t actually have any PVP elements, so technically the exploit wasn’t at anyone else’s expense. EA later told IGN that it would reduce the ban from TK TIME to two weeks. 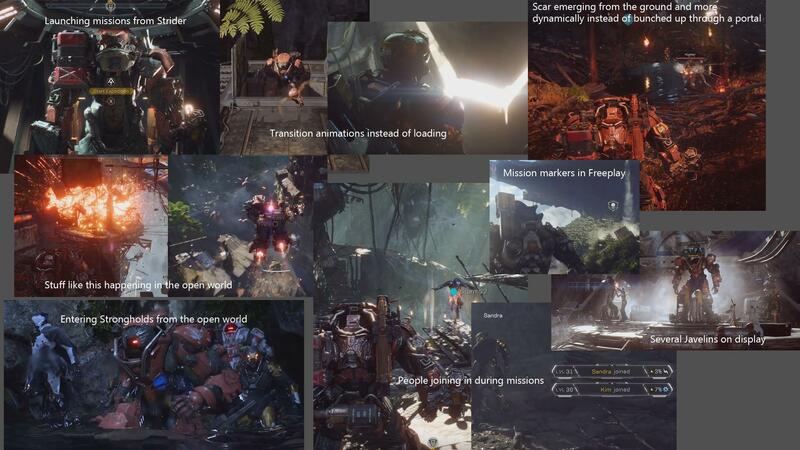 An image comparing features shown in Anthem’s pre-release trailers and what’s actually in the game starts making the rounds on 5 March. Irving takes to the comment section of the subreddit to respond, calling this the “cost of transparency” and pointing out that it’s normal for a game to change during development. A deeper analysis of what was shown off at previous E3s shows that there were indeed a number of changes, many of which appear to have reduced the emphasis on exploration and discovery. 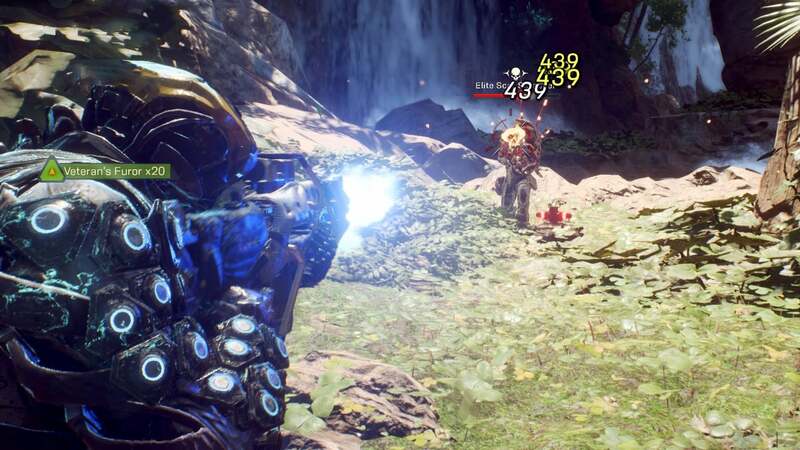 On 6 March, players report that the starting gun actually does more damage than Anthem’s Legendary weapons. BioWare later confirms that this is a straightforward bug that will be addressed in the next update. BioWare releases patch 1.03 on 9 March to address the PS4 shutoff problems, remove common and uncommon loot from dropping for high-level players engaged in end-game activities, nerf the game’s starting gun, and change how damage scales to match players’ average power ratings. The idea is to make Anthem’s hardest missions a little more forgiving. For a brief period Friday night into Saturday, Anthem showers players with high level loot. The player base is ecstatic, but the bounty is short-lived. BioWare confirms the generous drop rates were once again a bug. Some players attempt to rally everyone around a weeklong boycott, but there’s no evidence that it ever actually takes off. Anthem’s community director tells players that hostile replies have driven some of its developers away from commenting. “Things used to be a lot friendlier here for dev team members who normally don’t talk on social channels or forums,” Jesse Anderson writes on the game’s subreddit. He also tells the player base that BioWare is takes all the feedback seriously and is continuing to work on improving the game. BioWare eventually makes some concessions on loot drop rates on 15 March. An update increases rare drops for the game’s hardest activities in order to make them more rewarding and gives players a reason to work toward them rather than just repeating easier missions over and over again. 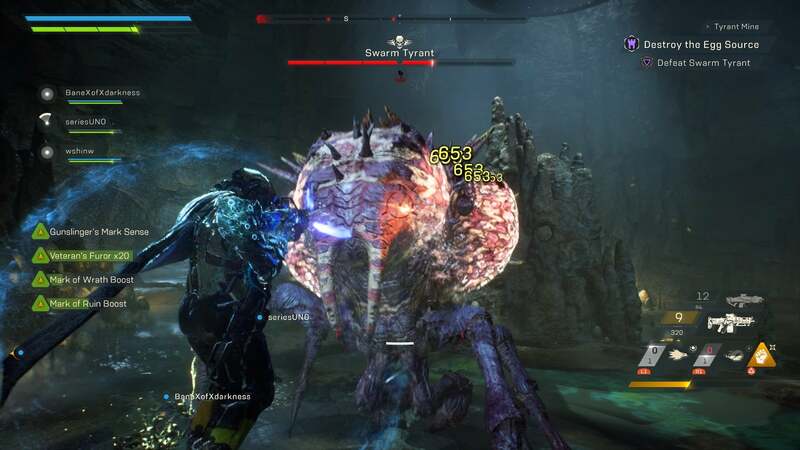 BioWare commits to a bigger overhaul of the game’s loot system for some time in the future. The game’s next set of changes get outlined on a 20 March livestream with the developers. Some of these include removing the loading screen to access the Forge, new icons on the map to highlight world events, and a new set of special treasure chests with unique equipment tied to particular missions. And that’s where we are. Anthem’s launch has been anything but smooth. While bugs, crashes, and loading times have all been drastically improved, it still feels like there’s a lot missing. As a result, everyone is focused on the free content that will be added in the coming weeks and months. The biggest of these is currently scheduled to arrive in May in the form of a Cataclysm, a “world changing event” that will showcase a longer, more involved, and more challenging Raid-like mission.